Online ordering menu for GEORGIO'S HOUSE OF PIZZA. As a family-owned and operated business in Carver, MA for more than 20 years, we strive to be the only pizza restaurant you turn to when your stomach starts to growl. We not only care about the tastes we provide our customers, but also the service and prices we provide.? Our pizza dough is made fresh daily and we serve in sizes ranging from 10” to 18”. 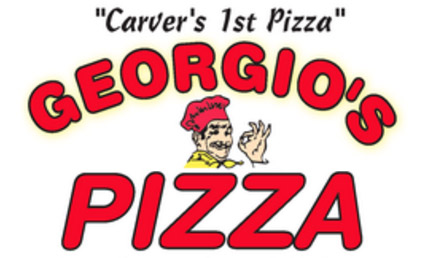 We serve all your favorite pies and throw in some Georgio’s specialties for some variety. We also serve gluten-free pizzas.? Nothing goes better with pizza than a delicious salad. We serve antipasto salad with all the fixins and use only the freshest lettuce, meat and vegetables mixed with our tangy and delicious house dressing.? Our menu also features calzones, wraps, soup, pasta, and subs. We are located on Main St. across from Carver Public Library and down the street from the Town Clerk office and Police Department. Plymouth Municipal Airport is only a few miles away! Order online for carryout or delivery!